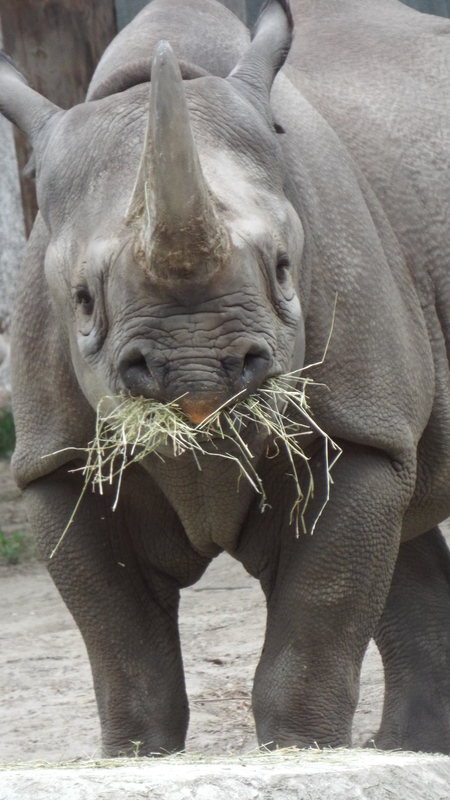 Watching his giant prehensile lip grab for treats, feeling his smooth wrinkled face, and touching his horn, so much goes through my mind. This gentle giant, with no threats except from us, being exterminated for a body part. He is both unassuming and docile, yet emotes an awe-inspiring strength and beauty unlike any other creature, except maybe the elephant. This poor sighted, massive beast who could lay me flat if he chose, has a weakness for having the spot right between his horns rubbed. As I discovered, after just a couple of minutes into obliging him, there’s a reason the keepers utilize a wire brush for this purpose. The skin is remarkably thick and tough there. Jello is not alone. 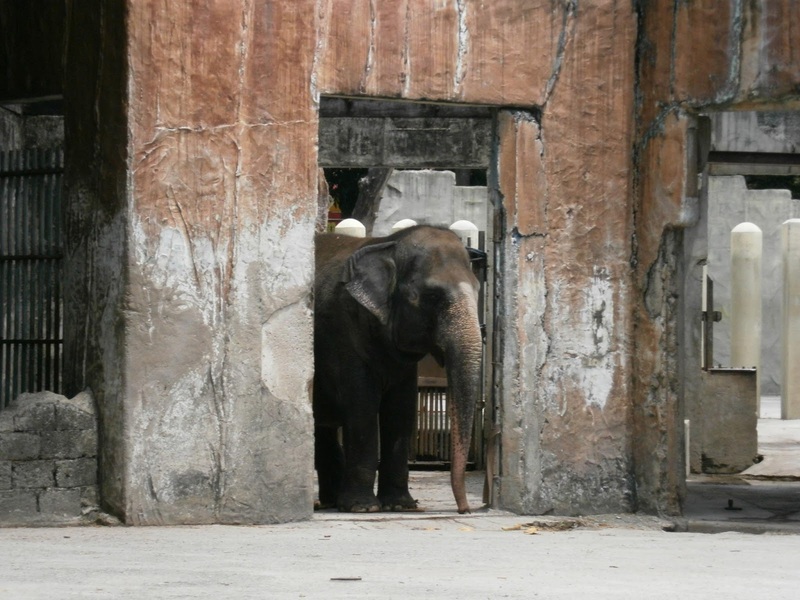 A 6-year-old female, named Doppsee lives in an adjoined exhibit. According to her keepers, this beautiful girl is more loving, food motivated and skittish. So skittish, that when the zoo installed a viewing window in the indoor exhibit, she was extremely fearful. The creative caretakers used a dummy outside the window, moving it every so often, to desensitize her to the new oddity in her home. 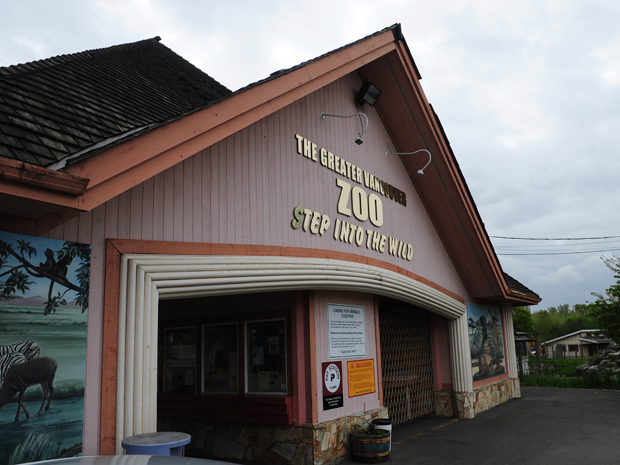 The zoo has plans to breed the pair via artificial insemination. Jello is prone to seizures, so for his safety, as well as Doppsees, this is the safer option. 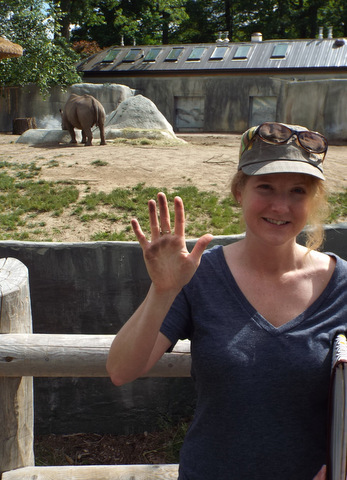 Like many other zoos housing rhinos, they are taking regular dung samples from Doppsee to analyze in hopes of finding the optimal time for conception. With a combination of behaviour monitoring and the scientific analysis, hopefully there is a Jello Jr in the future. 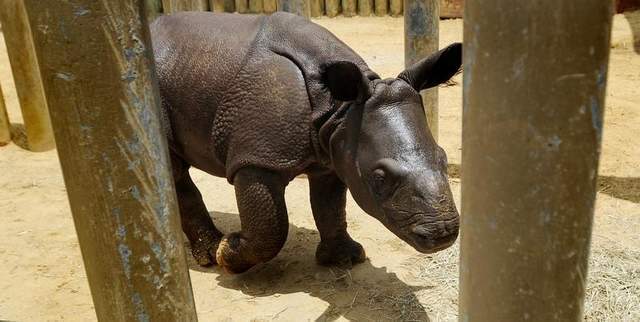 The first baby rhino born via artificial insemination in the U.S. 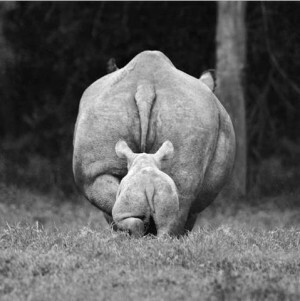 The Montgomery Zoo in Alabama: 12-year-old Indian Rhino Jeta, was the first in the U.S. to successfully give birth through artificial means. In June little Ethan was born, weighing a healthy 90 lbs. 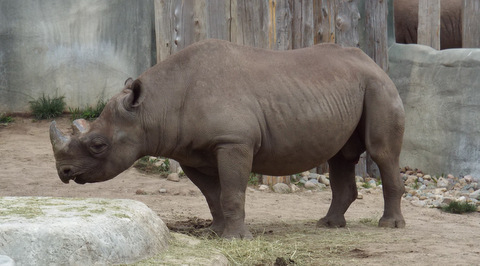 Ethan is only the second rhino ever born using thawed sperm. 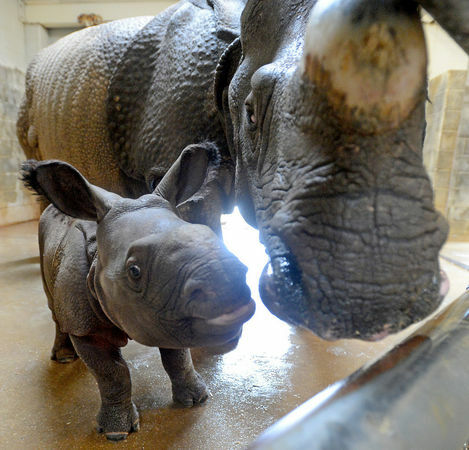 His father, Himal, had his stored in the Cincinnati Zoo’s Cryobiobank. 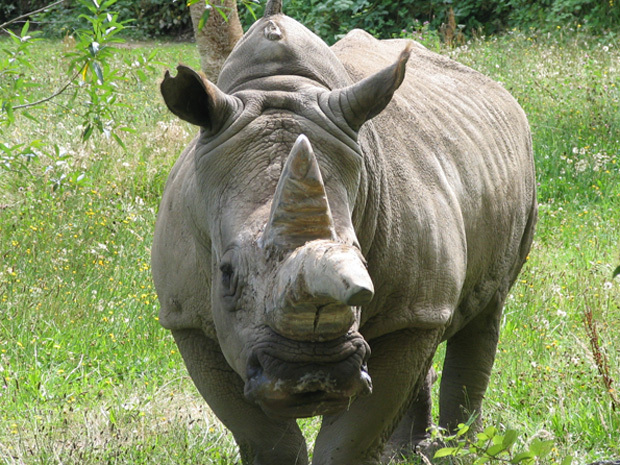 Although Himal resides at the same zoo as Jeta , the two grown rhino were deemed too aggressive to risk them mating naturally. 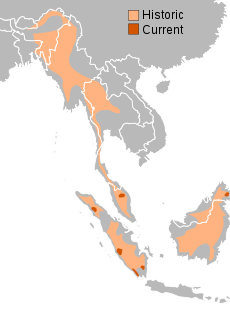 Montgomery Zoo experts estimate there to be 60 Indian Rhinos in captivity in North America, and only 2,500 left in the wild. Charlie knew what he liked. Maynard, for example, was something he liked, a tiny, orange tabby-cat, who would weave in and out of Charlie’s feet by day and fall asleep on his chest at night. Pedicures were another pleasure. Mud baths. Getting a back rub with a stiff-bristled brush. Having his ears and belly scratched. Charlie was no introvert. He was all about the personal touch. And he had personality. The people who knew him best get all choked up talking about him now, describing him as a “kind soul” — as big as a house and as gentle as a mouse. But Charlie, gentle Charlie, wasn’t a mouse. 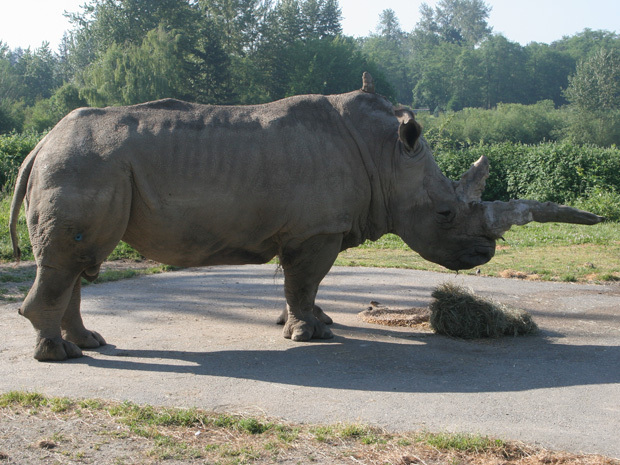 He was a Southern White Rhinoceros at the Greater Vancouver Zoo in Aldergrove, B.C. Charlie died this week, at age 46, euthanized by his long-time veterinarian, Dr. Bruce Burton, after he had stopped eating and drinking. Old Charlie’s teeth, as old rhino teeth will, had completely worn away. Dentures were not an option. 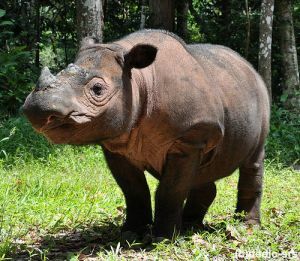 So while his mind remained active and his belly remained happy to be scratched, Charlie’s biological clock had decided it was time for him to move on to that great big rhino enclosure in the sky. “It is with an extremely heavy heart that I say goodbye to my very dear friend, Charlie,” Dr. Burton said in a statement. “I feel immensely privileged to have known you for the past decade and a half, and feel profoundly depressed that so few will ever experience the same intense relationship we had. “My words seem grossly inadequate and, perhaps, a little self-centred, so permit me to modify a similar sentiment once articulated by [American ecologist] Aldo Leopold. Charlie’s passing has left a rhino-sized hole at the zoo. He was the star, but more than that, he was a source of wonder. Children have been tacking handmade cards and handwritten letters to the side of his barn since his death. The barn sits empty. There are no plans to fill it anytime soon. Peaceful and loved though he was, Charlie was still a rhino. 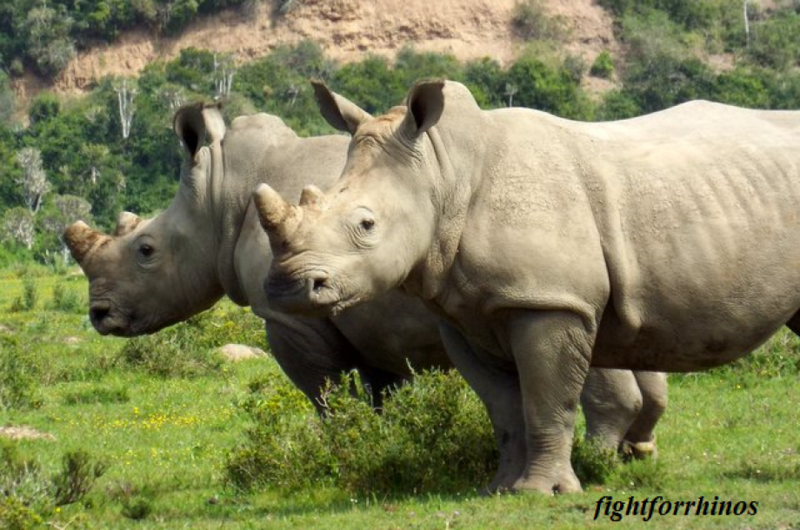 And a rhino without a sharpened horn is like a big-game hunter without a high-powered rifle. Charlie sharpened his horn on logs. He didn’t have other rhinos at hand to prove his manhood to. So he focused his ire on the birds that occasionally happened into his enclosure. Peacocks, with their showy tail feathers, were a particularly unwelcome sight. Charlie, she says, knew his name. He was locked in his barn at night. To get him into his fluffed straw bed all zookeepers had to do was call for him. In his youth he came running. As he aged, however, he stopped running, and his journey to bed became an extended lumber; a few steps, a pause, a few steps more, another pause. At each pause his big ears would flop about, as though savouring a passing breeze, as though waiting for his name to be called, again, by the sound of a human voice. “Charlie knew exactly what you were asking him to do at night but, in my view, he just wanted you there, with him, he just wanted your attention — of getting him that 20 steps to his barn — because he knew if he stopped in a certain spot that he would get his back rubbed or the soft part behind his ears scratched,” Ms. Prasad says. Contrast Charlie to Sweetie, the zoo’s elderly Siberian tiger. Sweetie is one anti-social cat, a creature that inspires, well, cautious respect among the zoo’s staff while Charlie inspired starry-eyed love. Ms. Prasad’s voice isn’t far from tears throughout our conversation about him. Charlie’s rhino-ness barrelled through in other ways, besides charging at peacocks. Everything he did was big, and loud. When he peed it was like a fire hose. When he passed wind it was like a trombone solo, blared at maximum volume, drawn out for minutes on end. Maynard the tabby cat passed away a few years before his rhino pal did. 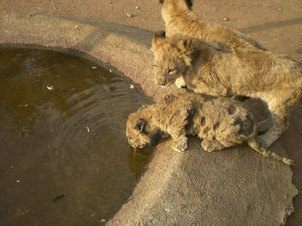 Ms. Prasad can picture the two of them now, wherever they are, enjoying a reunion, snuggling close at night. After a lifetime in the same enclosure, with the same routine, Thandora the elephant is getting a taste of freedom. 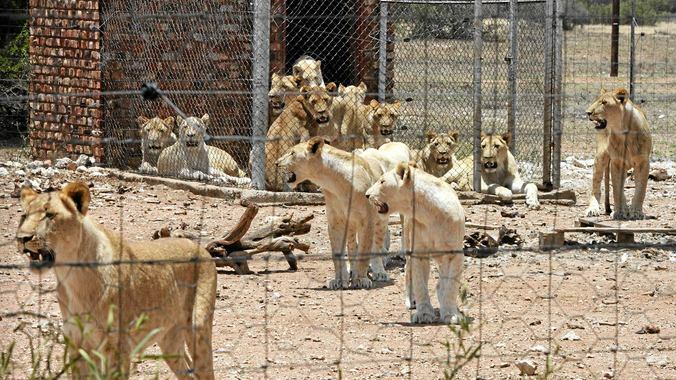 Thandora lived behind bars for 18 years at South Africa’s Bloemfontein Zoo with one companion. 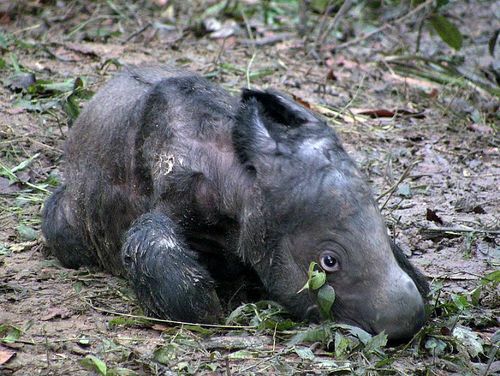 When her companion died, it was decided to “retire” her to the wild. 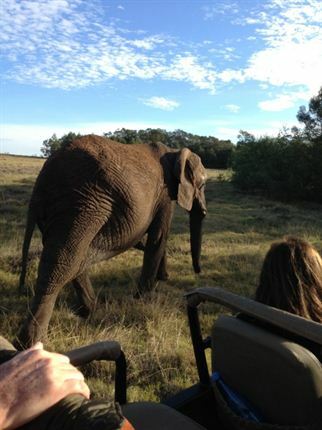 She is becoming acclimated to her new home at Gondwana Game Reserve in Cape Town. Having spent the first few weeks in a specially designed boma to get her used to her new surroundings, she is now confidant enough to venture beyond it. She has taken to the team at the reserve, and follows them in their Land Rover. But day by day, the distance between her and the vehicle is increasing, leaving the team confidant she is getting ready to be on her own. 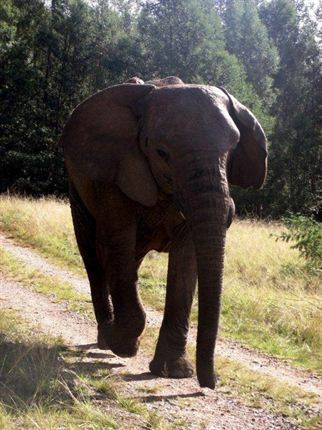 There are two other elephants at the Reserve who have made it clear they welcome Thandora. It is hopeful she will join up with them and be part of the herd. 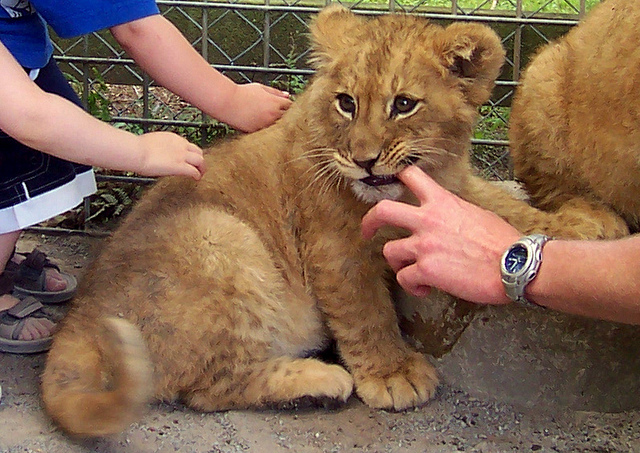 The change from captivity to the wild is enormous. It is imperative for the elephant to have the appropriate location, care and companions. The mental and physical health of the animal is also watched carefully; they must be able to build up strength to sustain them in the wilderness, alter their diet by learning how to forage, and have the confidence to successfully venture forth into the wilderness. But it is clear that nature is taking over, Thandora’s instincts are strong and she is on the track to success.